Its Friday and I'm so excited about tonight because its date night! Me and J are gonna go watch "The Boy". I love horror/thriller movies and I was excited when I saw the trailer for this movie. I am a big fan of Lauren Cohan from "The Walking Dead" which plays the lead role in "The Boy" so I have no doubt the movie will be great. So last week we drove around the city looking for nice places to shoot and we discovered these little pyramids just a few minutes from downtown. Its actually a park and its so lovely! Definitely a place to visit while in Houston. Last weekend me and Javier went exploring the heart of Houston...aka Downtown and found so much cool art in the streets including this wall. I hadn't planned on taking pictures but my outfit kinda matched the wall so I had to haha! Happy Wednesday + new year!!! 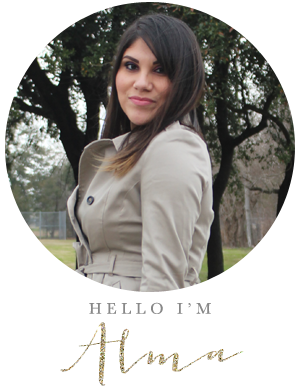 I am so excited to kick off my first 2016 blog post with Shabby Apple. I've also teamed up with them to give you a chance to win a $50 gift card to their store. Stay tuned at the end of this post for details on how to enter....its super easy I promise! Because the weather in Houston is currently in the high 60's, I can get away with wearing this dress without being cold, but how cute would it look paired with a light pink fur coat? and if you're into the pink and red valentine color combo, you can switch out the metallic heels for red lace-up heels. Talk about cuuutee! The dress I'm wearing is currently on sale for only $64.20 and if you're not feeling this bright pink color, they have the same dress in a few other colors which I've linked below. I love that Shabby Apple offers everything from skirts, to dresses, to accessories, and bathing suits. They are true to size and they have sizes up to 16 so theres definitely something for everyone at Shabby Apple. The quality of their clothing is great! You don't have to worry about scratching throughout your date or church because their clothing is not itchy at all. Now its time for the giveaway! Ive teamed up with Shabby Apple to give you a chance to win a $50 giftcard to their store. Simply enter by completing the rafflecopter below. The giveaway will run until 1/16/16. The winner will be announced here. Thank you for stopping by and goodluck!